Janet Poppendieck. Breadlines Knee-Deep in Wheat: Food Assistance in the Great Depression. 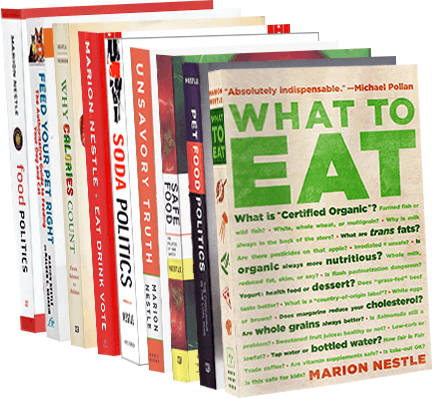 University of California Press, 2014. I wrote the Foreword to this updated and expanded edition of Jan Poppendieck’s 1986 classic. 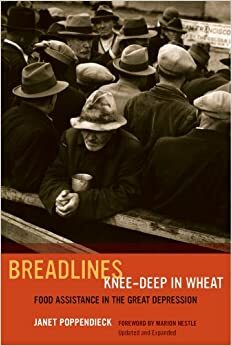 What a gift to have this new edition of Breadlines Knee-Deep in Wheat, too long out of print, and badly missed…Food assistance is what this book is about. Breadlines tells the story of how the U.S. government, confronted with destitution during the Great Depression of the 1930s, first became involved in feeding the hungry. Government agencies attempted to resolve two pressing social and political problems with one stroke: breadlines, the unemployment-induced poverty that forced great masses of people to line up for handouts of free food, and knee-deep in wheat, shorthand for the great bounty of American agriculture that was available at the time, but unaffordable and allowed to rot or intentionally destroyed. The solution: distribute surplus commodities to the poor while also—and politically far more important—providing farmers with a paying outlet for what they produced. The earlier chapters of Breadlines focus on the politics—as played out in disputes between members of the Roosevelt administration—that led to a critical shift in the focus of food distribution programs. Once aimed at hunger relief, the programs ended up aimed at protecting the income of farmers. As a result, the hunger problem remained unsolved…. Breadlines has much to teach us about the historical basis of today’s politics of hunger, welfare, and agriculture policy. Janet Poppendieck deserves much praise for writing this book and bringing it up to date, and so does University of California Press for producing this most welcome new edition. Is Walmart the biggest SNAP beneficiary? How much food assistance money gets spent at Walmart? How many Walmart “associates” get SNAP benefits? 3) large banks, such as J.P. Morgan Chase, which contract with states to help administer SNAP benefits. changes in the amount of payments made under the Supplement Nutrition Assistance Plan and other public assistance plans, (and) changes in the eligibility requirements of public assistance plans. People on food assistance spend a lot of their benefits in Walmart. Walmart employees qualify for food assistance benefits. Its business model will lose its taxpayer-supported subsidies. Maybe Congress would be kinder to SNAP benefits if it understood that big corporations benefit so much from them. Walmart, by the way, sold $466 billion worth of goods in 2013, of which roughly half comes from groceries. On Friday afternoon (that slow news moment), Let’s Move! and the USDA announced the release of the long-awaited Final Rules governing foods eligible for purchase by participants in WIC–The Special Supplemental Food Program for Women, Infants, and Children. Increase the dollar amount for purchases of fruits and vegetables. Allow for yogurt as a partial milk substitute. Give states and local WIC agencies more flexibility in meeting the nutritional and cultural needs of WIC participants. These are good moves but the big news is that the USDA stood up to lobbyists for the potato industry who have pushed the White House and Congress to allow participants to buy white potatoes with their WIC funds. As I noted in an earlier post, the exclusion of white potatoes follows recommendations of the Institute of Medicine based on observations that WIC mothers already buy plenty of them. Potato lobbyists got Congress to insert language in the 2014 Agriculture Appropriations bill urging the USDA to allow white potatoes in the package. The USDA responded by asking the Institute of Medicine to reexamine the WIC food package in time for reauthorization of child nutrition programs in 2015. This is now underway. Although WIC is a small program relative to SNAP, it still provides about $7 billion a year for its nearly 9 million participants. Food companies fight fiercely to ensure that their products are eligible to be purchased with WIC funds. The potato lobbyists got Congress to intervene in USDA rules on school meals. They must have thought they could win this one too. It’s encouraging when public health wins out over industry lobbying. But this one is small potatoes. How about a few wins against Big Food?